Motor Guard's original dual-sided sanding block. 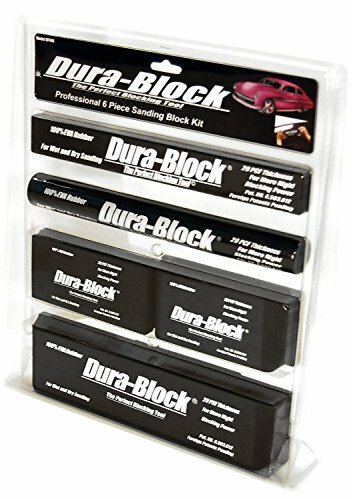 This unique sanding block utilizes two different densities to achieve the ultimate in block sanding of curved or irregular shaped surfaces. The original Motor Guard soft sanding block. 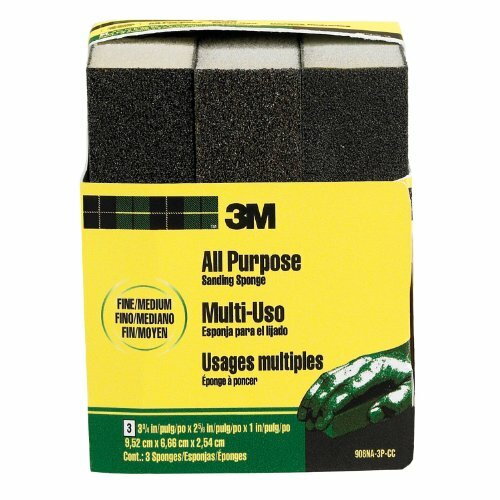 3M(TM) Sanding Sponges are designed for wet or dry sanding on wood, paint, metal, plastic or drywall. Use this medium-grit sponge for moderate stripping or surface leveling in preparation for a coating. 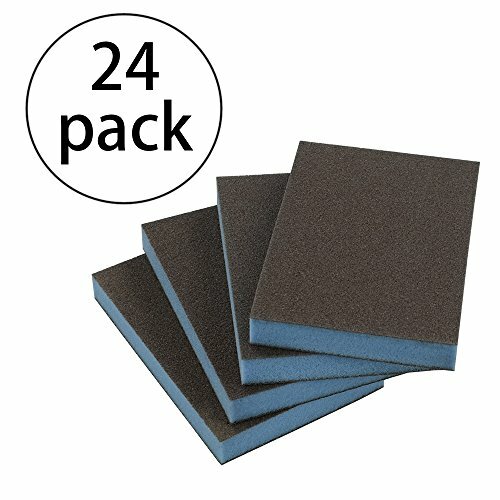 This sponge features conventional 3M abrasives and is made with durable, flexible foam. The block shape makes it easy to hold and sands flat, contoured, or irregular surfaces. Sanding is an integral step in preparing a surface to receive a coating. For the best sanding results, sand with the grain of the surface and work through a sequence of grits, from coarse to very fine, skipping no more than one grit between each sanding step. 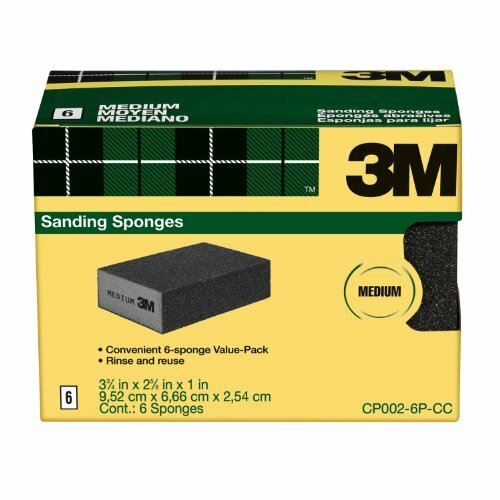 3M sanding sponges are available in medium, fine and extra fine grits. 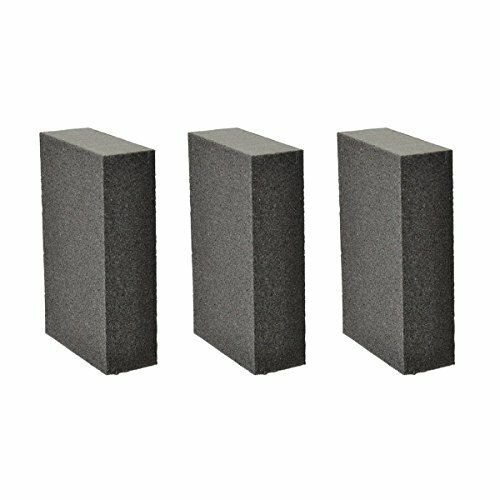 3M Sanding Sponge 908NA-3P-CC, 3 3/4-Inch x 2 5/8-Inch x 1-Inch (9,522 cm x 6,66 cm x 2,54 cm) Fine/Medium, 3pk, Open Stock. 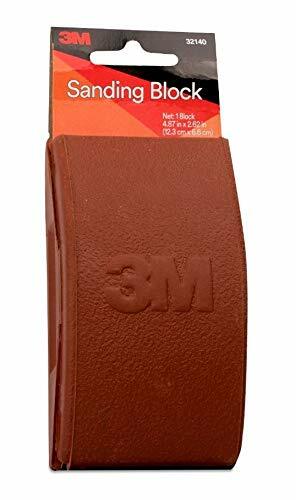 3M Small Area Sanding Sponge is for either dry or wet sanding. Ideal for sanding wood, paint, metal, plastic and drywall. Two sanding grades on one sponge-Inch a combination of extra fine/fine, fine/medium, or medium/coarse. Rinse and reuse. Aouker HS5180 Hand Sander offer a brand new way to finish your handmade masterpiece! and the stress of palm works on a little surface while fingers' works on a point. It costs a lot of time and got a result not what you looking for. Aouker HS5180 Hand Sander solved these problem for you. When you using this hand sander, the force from your hand disperse averagely. Thinks for the comfortable sponge hand grip and the lightweight itself, you can finish your task in shorter time without worry about hurt your fingers like use to be. We know that what you want is easy to use and durable. Just 3 steps to load the sandpaper, 2 metal clips make sure the sandpaper fix on the sponge pad firmly. 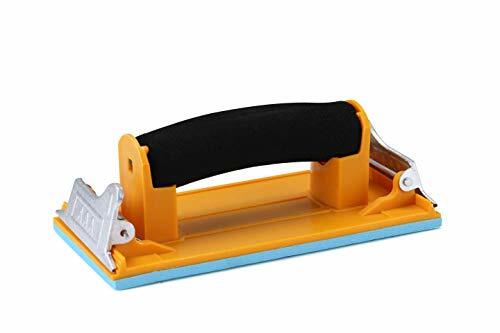 The hand sander has a perfect sponge pad size for 9 x 3.6 sandpapers sale on market, helps you finish the surface that can't manage with the machines. Lightweight, comfortable sponge hand grip. Great for drywall sanding, flat surface of wood, metal, etc. Structural foam with metal clips, clamp sandpaper on the surface firmly. Sponge Pad size: 7.087 x 3.346 inch (180 x 85 cm), Supports 1/3 sheet of standard 9 x 11 inch Sandpaper. This is the perfect sanding accessory that looks and feels just like a sander should unlike there distant cousins... sanding blocks. Sanding blocks are just that, sanding blocks. They can be kind of handy but keeping the sandpaper on the block can be a bit of a challenge and they are altogether clunky to use. Other new fangled "sanding blocks" have clips that sort of work until they don't and even more types force you to buy expensive sanding belts to fit there version of a "sanding block". It would be great if we just use the sandpaper most of us already have in our shops. Introducing the Sanding Mouse! A one of a kind, ergonomically designed sanding tool that is so simple and feels so familiar in our hands, it's a wonder why it took so long for someone to think of it. The Sanding Mouse is made from a sturdy, yet flexible composite material and has a hook and loop base. 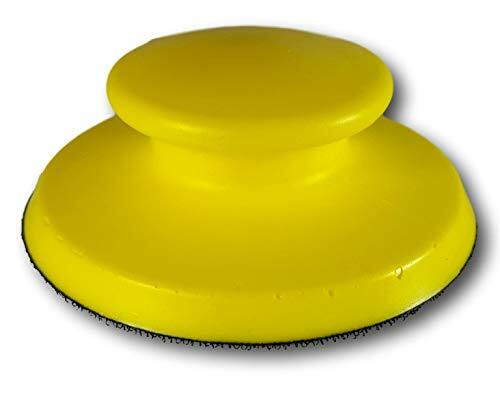 The Hook and loop base is designed to accept orbital sanding discs that most of us already have in our shop. It will work with any hole pattern of sanding disc or even no hole sanding discs. Your hook and loop paper will easily attach and easily come off of the Sanding Mouse when its time to change paper or grits. The sides of the Sanding Mouse are uniquely angled slightly inward. This helps when getting into corners of cabinets or anywhere you need to get up against a side wall of a project. It's a tremendous feature that will help most all of us out when sanding book cases, cabinets, desks, counter tops and more. The Sanding Mouse is available in 5" or 6" sizes and are sold separately. This is the perfect sanding accessory that looks and feels just like a sander should unlike there distant cousins... sanding blocks. Sanding blocks are just that, sanding blocks. They can be kind of handy but keeping the sandpaper on the block can be a bit of a challenge and they are altogether clunky to use. Other new fangled sanding blocks have clips that sort of work until they don't and even more types force you to buy expensive sanding belts to fit there version of a sanding block. It would be great if we just use the sandpaper most of us already have in our shops. Introducing the Sanding Mouse! A one of a kind, ergonomically designed sanding tool that is so simple and feels so familiar in our hands, it's a wonder why it took so long for someone to think of it. The Sanding Mouse is made from a sturdy, yet flexible composite material and has a hook and loop base. The Hook and loop base is designed to accept orbital sanding discs that most of us already have in our shop. It will work with any hole pattern of sanding disc or even no hole sanding discs. Your hook and loop paper will easily attach and easily come off of the Sanding Mouse when its time to change paper or grits. The sides of the Sanding Mouse are uniquely angled slightly inward. This helps when getting into corners of cabinets or anywhere you need to get up against a side wall of a project. It's a tremendous feature that will help most all of us out when sanding book cases, cabinets, desks, counter tops and more. The Sanding Mouse is available in 5 or 6 sizes and are sold separately. 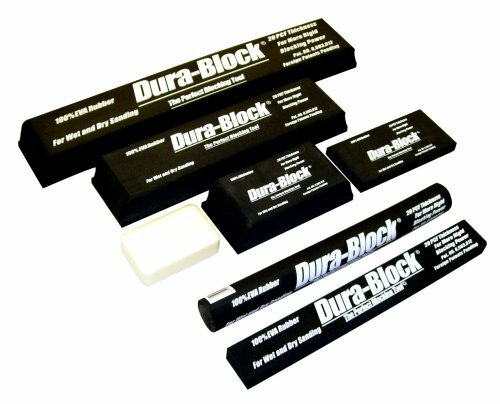 The set contains many of the most popular Dura-Blocks including (1 piece) AF4400, (1 piece) AF4401, (1 piece) AF4402, (1 piece) AF4403, (1 piece) AF4404, (1 piece) AF4405 and (1 piece) AF4408S Dura-Scrub Soap. This block is designed to follow slightly curved or flat panels without digging into the fill material. 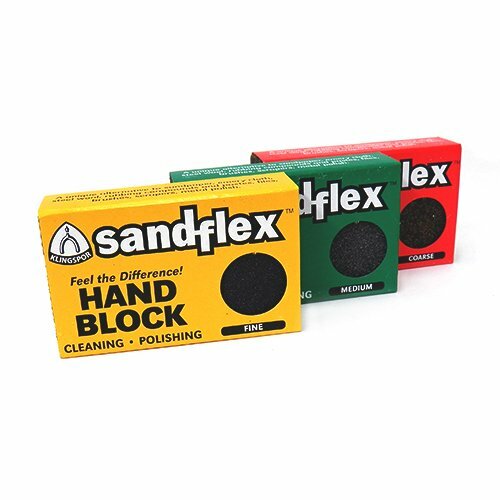 Sandflex Sanding Block - 3 Pack. WARNING: This product can expose you to chemicals which is [are] known to the State of California to cause cancer and birth defects or other reproductive harm. For more information go to www.P65Warnings.ca.gov. Our 3M Sanding Block is a professional grade tool that helps you achieve your best, fastest sanding work in auto body and other jobs. 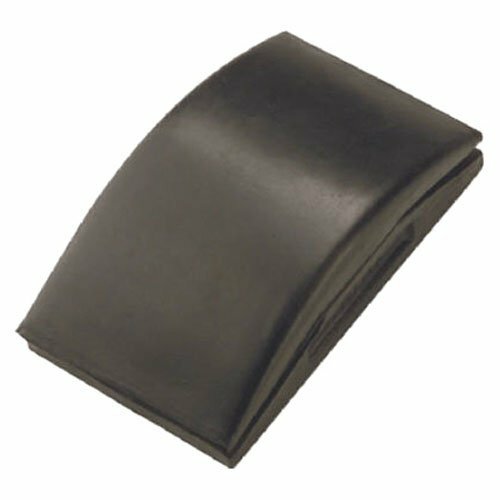 The pliable rubber block is designed to comfortably fit your hand and to keep sandpaper flat against automotive surfaces, helping ensure uniform sanding performance. Sanding blocks feature internal attachment pins to hold sandpaper firmly in place on the block. Arology sanding sponges are designed for sanding wood, paint, metal, plastic or drywall. This sponge is made with durable and flexible foam. The block shape makes it easy to hold and sands flat, contoured, or irregular surfaces. Sanding is an integral step in preparing a surface to receive a coating. For the best sanding results, sand with the grain of the surface and work through a sequence of grits, from coarse to very fine, skipping no more than one grit between each sanding step. Sanding Stick Kits make sanding those hard-to-reach areas an easy task. 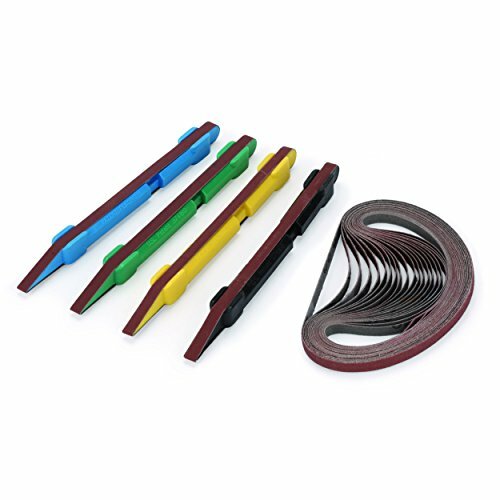 Newly designed pencil-type sticks are hexagon shaped for comfort, feature thumb and finger supports, and hold 1/4\" x 12-3/4\" aluminum oxide belts. The 6-1/4\" x 1/4\" sticks are made of impact resistant plastic and have a spring tensioned back to keep the sanding belts firmly in place or allow quick belt rotating or changing. The tapered end can be used for intricate sanding while the flat side and rounded end add to the versatility of the sanding sticks. 24 Piece Finishing Kit includes 4 color coded sticks and 5 belts each in 240, 320, 400, and 500 grits. Professional pole sander with swivel head assures surface sanding contact without head tipping or rocking. Sanding head accepts standard die-cut sandpaper and 3/4" standard threaded extension poles. The Contour Sanding Grip pads are double-ended to make it super easy to sand convex or concave surfaces. Each pad has a convex profile at one and a concave profile at the other along with a narrow flexible section in the middle that can be used for sanding. The grip pads are comfortable to hold and are made from textured rubber that helps prevent the sandpaper from sliding when in use. 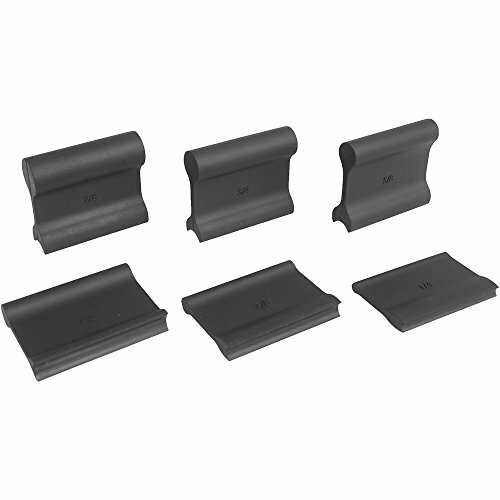 This set includes six 2 " wide pads with the following inside/outside diameters: (sizes are molded into each grip for easy identification) ", 3/8", ", 5/8", ", and 7/8". The Contour Sanding Grip pads are double-ended to make it super easy to sand convex or concave surfaces. Each pad has a convex profile at one and a concave profile at the other along with a narrow flexible section in the middle that can be used for sanding. Durable, flexible rubber grips allow you to easily sand contours, curves, profiles, and other hard to get at areas. 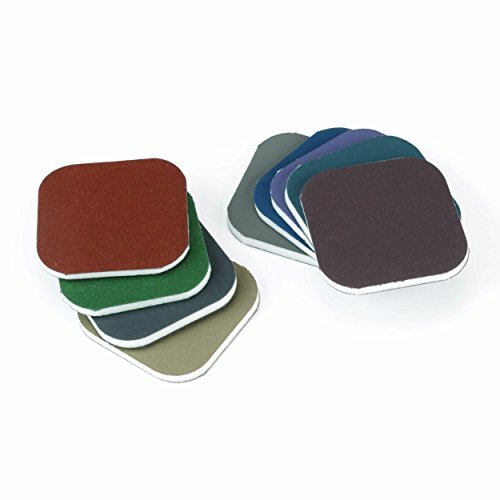 Many styles of contour grip pads tend to be stiff and non-forgiving which can be frustrating. These grips are the perfect combination of rigidity and forgiveness to help you produce great end results. Simply cut you paper to size and instead of folding it to get that tough spot, wrap it around one of the contoured grips! This package includes 3 contour pads: 5 x 2 and 7/16,7/32,and 5/32 thick. The five grips have one 1 wide convex side and 4 radius contours (1/4, 3/8, 1/2 and 5/8). The opposite end of the contoured grips even have micro profiles for tighter areas such as flat, tight radii, knife edges, wedges and more. This set is the perfect set for any home owner, hobbyist, woodworker or even professionals! Ideal block for sanding and preparation work. Durable and firm.